Hello all! 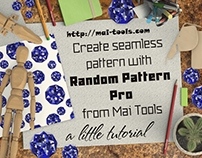 Today I will show you a new way to create seamless patterns using the new script from Mai Tools - Random Pattern Light. 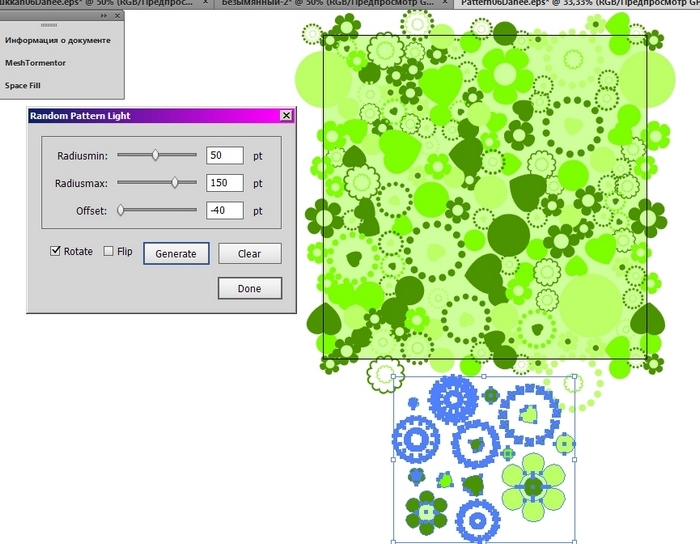 Unlike the Pattern Magic Pro this script creates a chaotic pattern with a random distribution of objects on the artboard. The script is compatible with Adobe Illustrator CC, Adobe Illustrator CS6, Adobe Illustrator CS5. 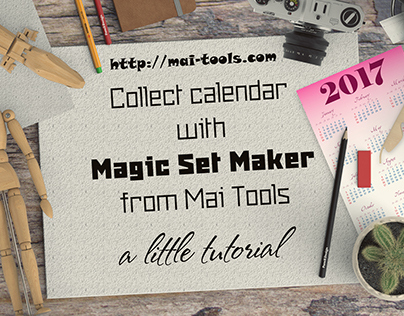 The script is universal and suitable for both Windows and Macintosh OS. 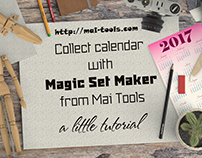 You can buy the script for $7 on the website Mai Tools HERE. Now we will try to create a simple floral pattern using RPL. Create a new document with your usual settings. 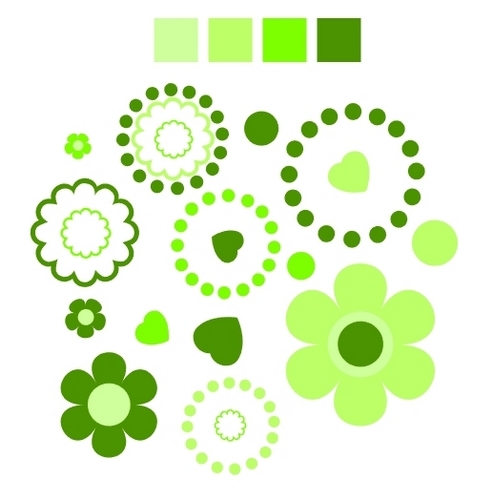 Create some simple floral ornaments approximately shown below, and paint them in 4 shades of one color. All part of the same ornament should be grouped and represent a single group-object (the element). Single elements you may not group. 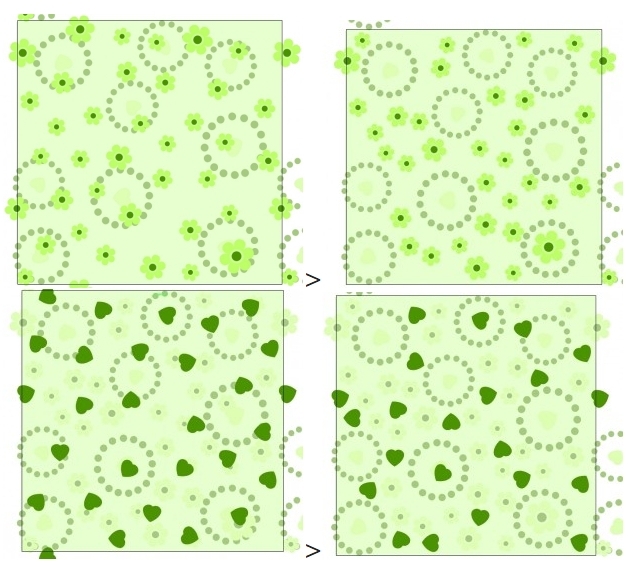 The pattern can be made from everything objects by selecting them together, or choosing each one in turn for more control and a more flexible result. So, select all the objects, put them outside the artboard and run the script. 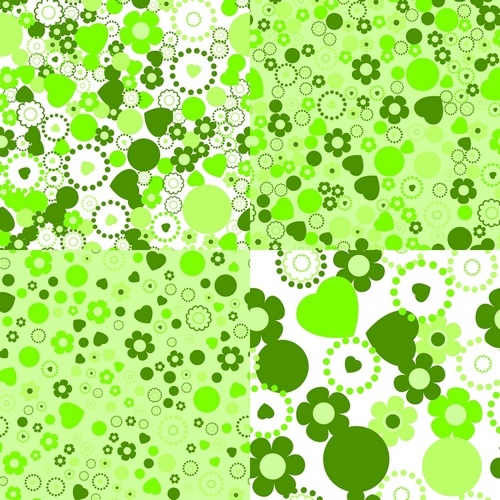 The script creates a pattern in a new layer without using the existing objects but copying them, so that the objects do not overlap the pattern, we place them out of the artboard. A little window script allows you to specify multiple values. 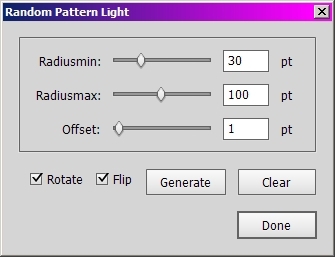 Radiusmin and Radiusmax - here you set the minimum and maximum dimensions of the elements of the pattern (grouped part of the ornament is considered as one object). If you set the same value for all objects, in the final pattern objects will be the same size. 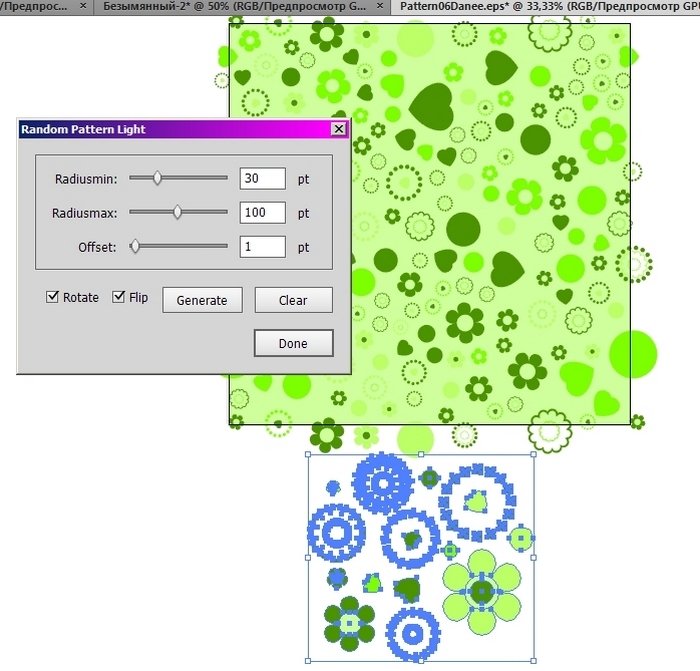 In the field Offset you specify the distance between elements of the pattern. 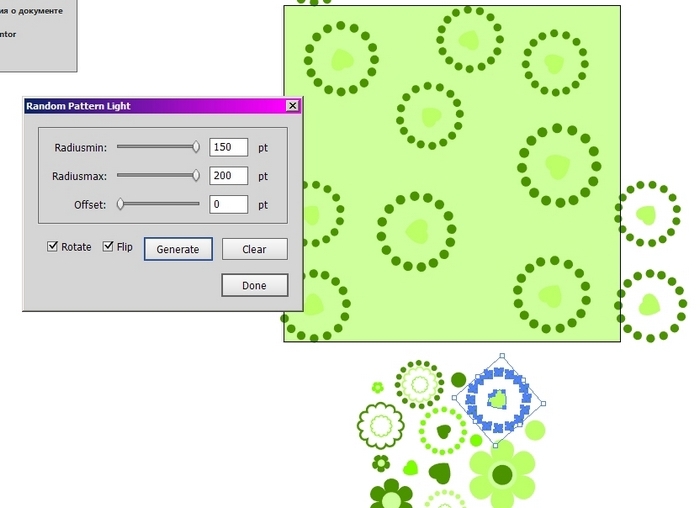 If you want the pattern elements touch each other or overlap, enter negative values with a minus. Tick Rotate and Flip, respectively, indicate the element's rotation and / or its flipping. 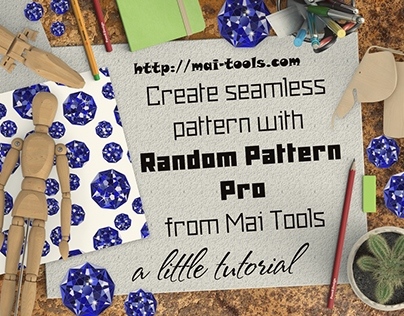 Generate - main button, in fact, generating the pattern, Clear - completely removes the result, if it is poor, Done - closes the script window, leaving a pattern on the artboard, with which you can work further. In principle, that's all. Play with the settings, poke Generate until you like the result, try different values, mix and match different objects - experiment!
. 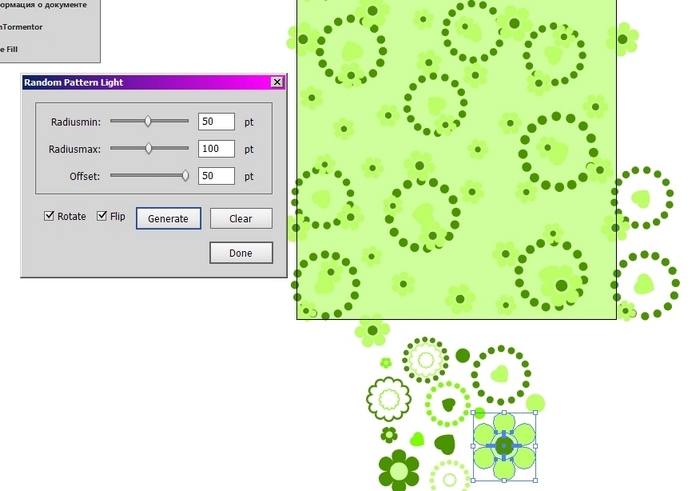 The smaller the radii - the smaller the objects will be on the pattern and the more they will. Accordingly, the increase in the number of objects will lead to increase of time of the script working. 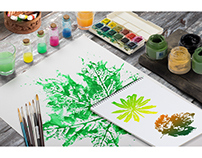 This will be especially noticeable on large artboard, for example, 1000x1000 px.
. The zero Offset value will not move the objects end-to-end: enter a negative value. If negative Offset does not work correctly, contact Mai Tools support@mai-tools.com for an update of the script.
. 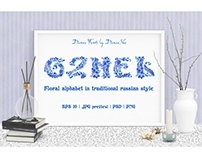 The original objects after the final formation of the pattern you can delete or use for other patterns, combining and repainting as you wish.
. 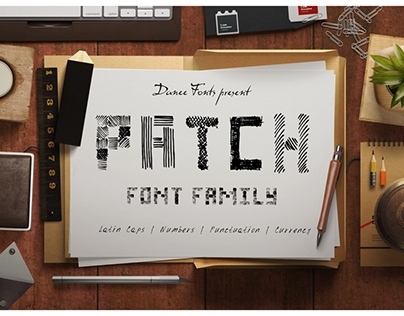 When processing each element of the pattern individually, script will create for each its own layer. 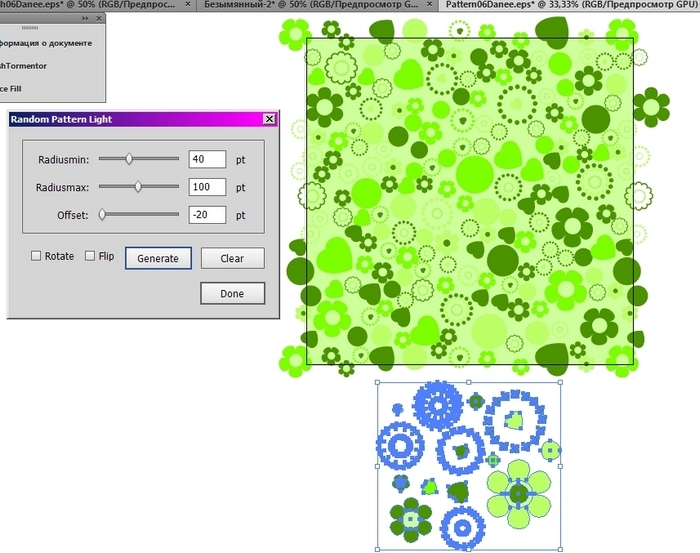 Therefore, if the objects will overlap in the final pattern, you can delete unnecessary parts in one of the layers, blocking other layers or using the Isolation mode. 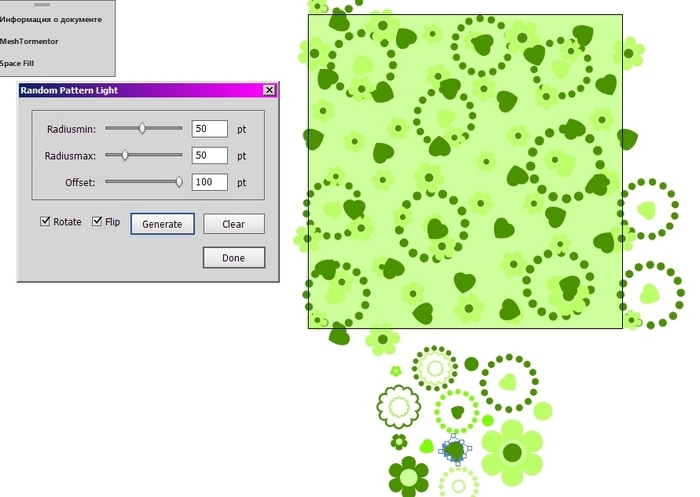 Create and edit a pattern one by one object: enter the values for each group of elements. Further, if necessary, each layer is editable separately. I usually do it in the Isolation mode (double click on the desired group of elements or right-click - Isolated selected group), so I'm not touching the other layers and objects on the artboard (they are locked for me), but who serve me as markers, when I move or delete current elements. You will only need to crop the protruding parts of the pattern or to put them under the mask, also to pick up the background. Enjoy!